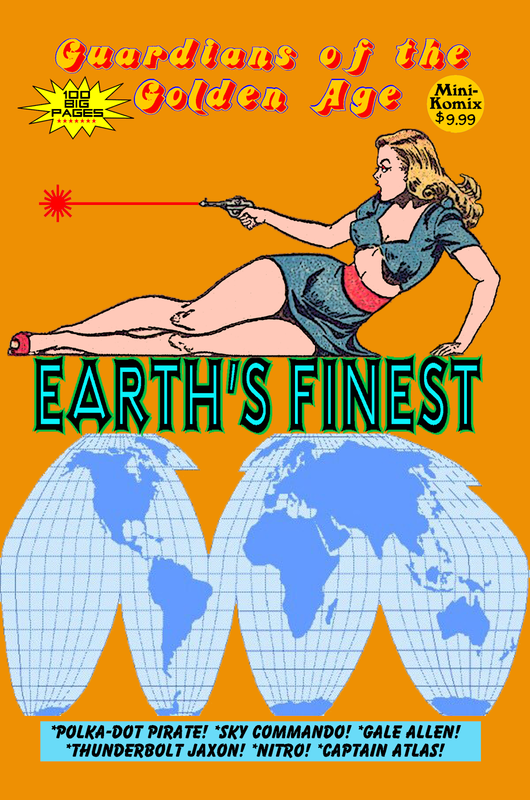 Guardians of the Golden Age spans the globe for Earth's Finest! Heroes from comics around the world, including Britain, Canada, Spain, and Australia. 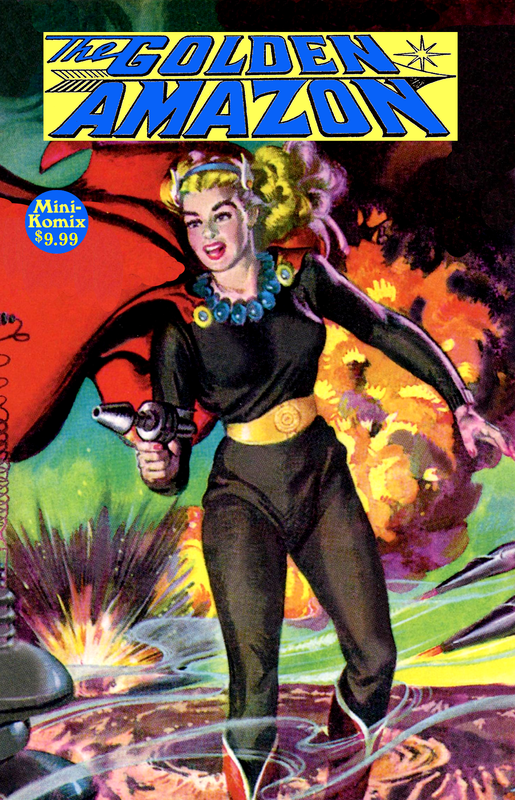 Starring: Captain Atlas, The Flame, Mr. Apollo, Terry Kane, Crimson Comet, Mystery Rider, Miracle Man, The Crusaders, Peter Puck, Steel Barr, Thunderbolt Jaxon, Nitro, plus Gale Allen and the Girl Squadron! 100 Big Pages! This is in print through us, and available at Lulu. British Underground looks into the Golden Age greats of Super-Duper Comics! 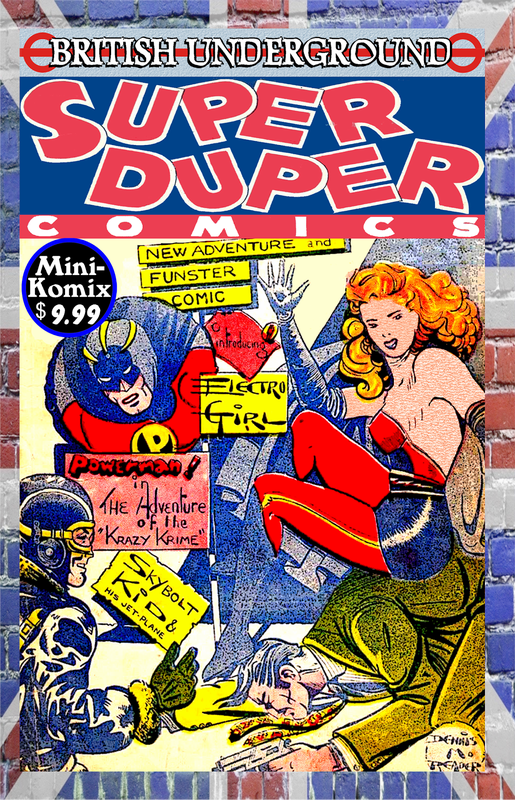 Superheroes like Electro Girl, Powerman, Captain Atlas, Phantom Maid, TNT Tom, and Mr. Apollo! Adventurers such as Sky-Bolt Kid, Fish Boy, Dene Vernon, Scoop Smithy, and the Pacific Patrol! Fantastic funnies starring Bunty's Baby, Goosey the Ghost, and Super-Pork! Rare and vintage U.K. comic stories! This full-sized trade paperback is available through us, plus at Lulu and at Indy Planet. 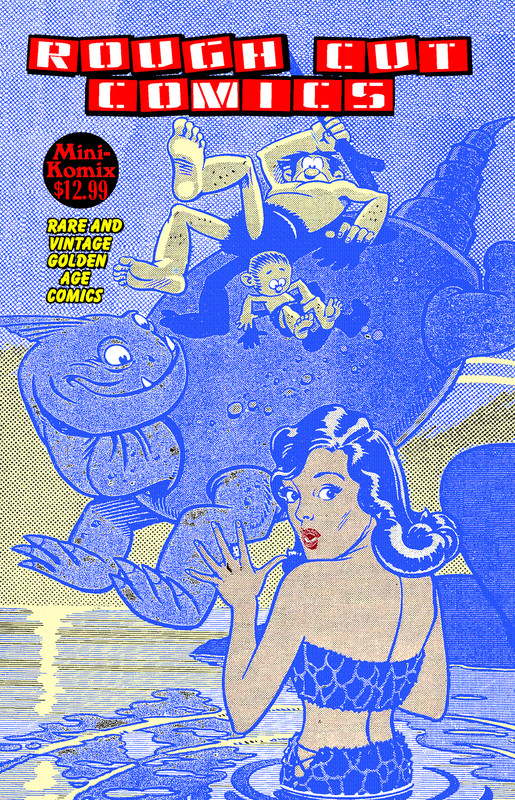 Rough Cut Comics collects raw editions of rare and vintage stories from the Golden Age! Included is The Wizard of Ugghh, Danny Dreams, The Hawk, Target And The Targeteers, Hoot Man, Dirty Mouse, Keyhole Kasey, Tor, Scowboat Sadie, and Zegra: Jungle Empress! Includes material by Joe Kubert, Norman Maurer, Ray Thompson, Dave Berg, Carl Hubbell, Enrico Bagnoli, and Bill Allison! 100 Big Pages! 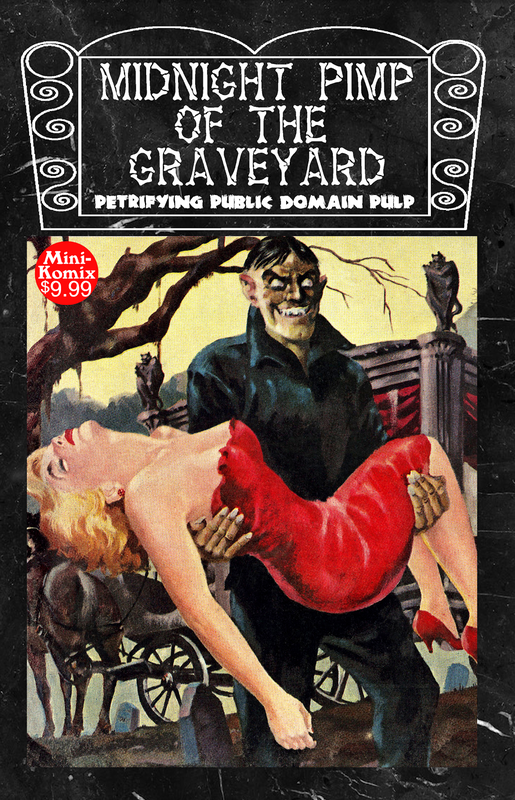 This full-sized one-shot is now in paperback through us, plus at Lulu, as well in print plus download at Indy Planet. Charlton Chuckles laughs out loud with hilarious hits from Charlton Comics! Bodacious blasts from the pasts like Miss Bikini Luv, Lil’ Genius, Timmy the Timid Ghost, Hamlet on Rye, The Four Mosquitoes, Tom the All-American Cat, Rock and Rollo, Pudgy Pig, and Lil’ Tomboy! 100 Big Pages of hysterical humor! You can now get this digital or in print at Indy Planet. 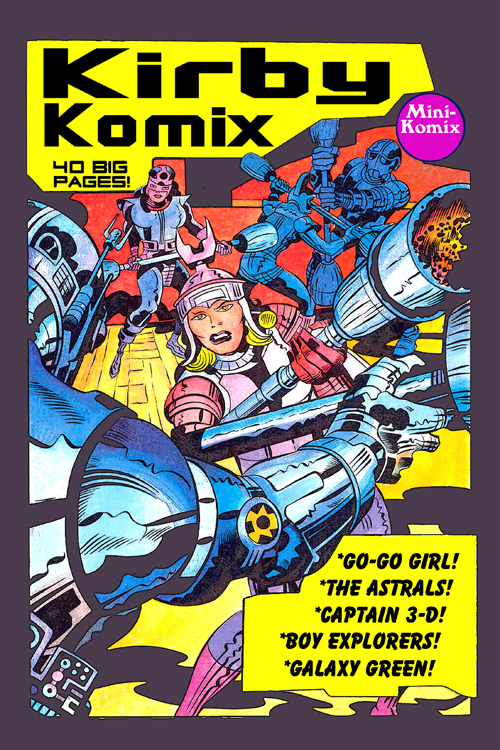 Kirby Komix celebrates 100 years of the King of Comics, Jack Kirby! 40 Big Pages of the King’s more obscure characters like The Boy Explorers, The Astrals, Go-Go Girl, Captain 3-D, and The Astro-Chicks! You can either download this or get it in print at Drive Thru Comics, and Indy Planet. 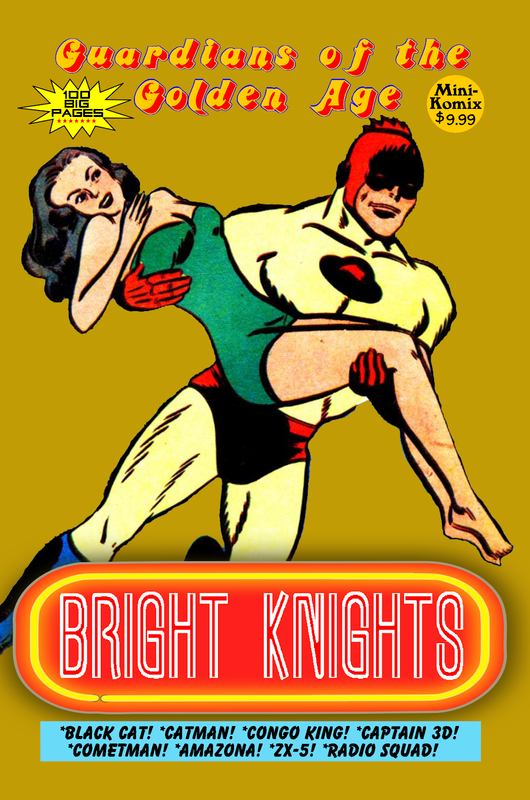 Guardians of the Golden Age illuminates uplifting heroes with Bright Knights! Starring: Cometman, Black Cat, Catman, Kit, Radio Squad, Congo King, ZX-5, Harbor Patrol, Wambi the Jungle Boy, Captain 3D, Amazona the Mighty Woman! 100 Big Pages of superhero service with a smile! This paperback is available through us, and at Lulu.